All quotes by author Greg McKeown unless noted otherwise. Emphasis added by yours truly. OK, if you’re still here then you’re in for the long haul. 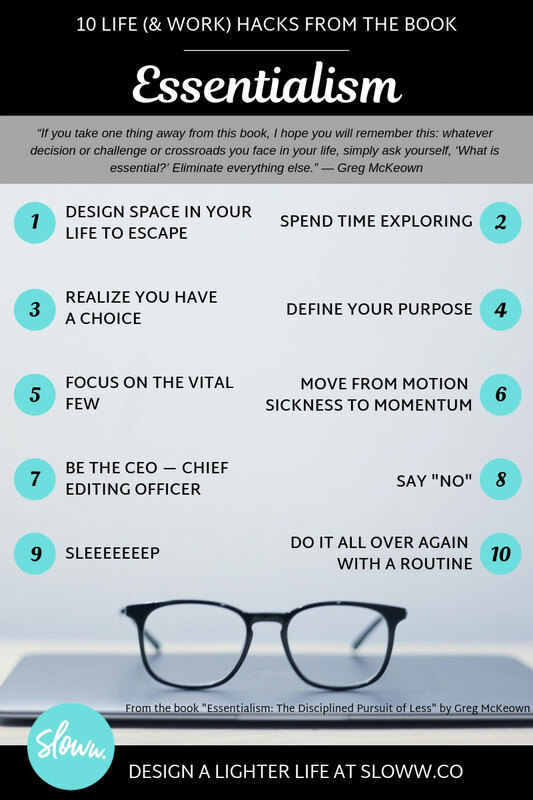 Here are my top 10 life (and work) hacks from Essentialism: The Disciplined Pursuit of Less. Read this story about Peter Drucker for one of my favorite examples of saying no. Wrapping things up, here are some of the questions the author asks us to think about. Have some thoughts? Please share in the comments. And, you can check out all my book summaries here. Great post – got a lot from reading this summary. Will be buying the book to read it soon. Would love to see more of these! Thanks, Atticus! 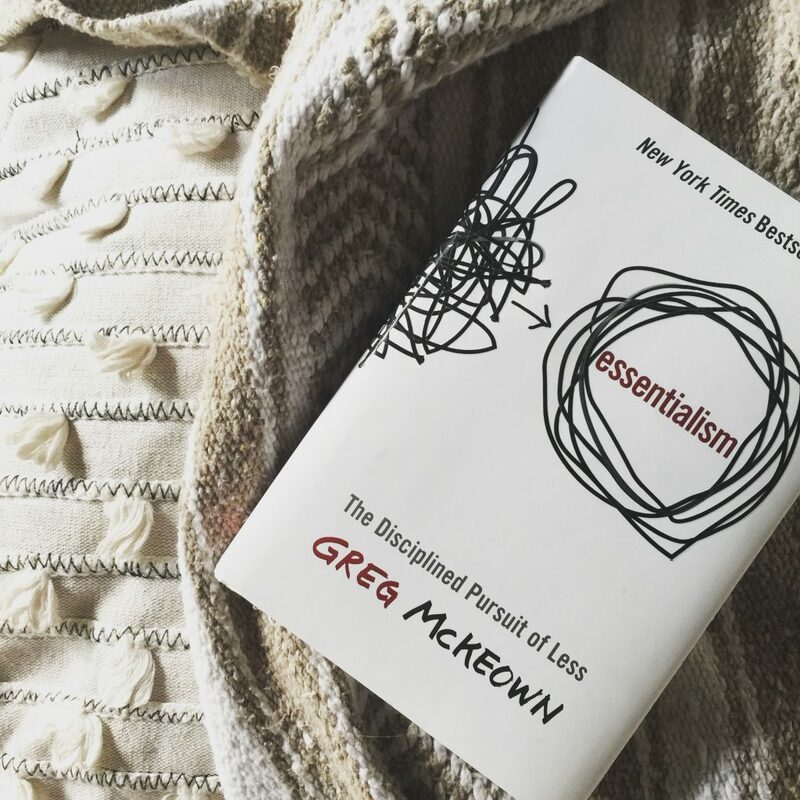 Essentialism has had a huge impact on my life and work. Happy to hear you enjoyed the summary. I’ll be posting more book summaries in the future. thank you very much for the concise yet comprehensive summary . This book simply gives more permission for Millennials to ignore, delete, and discard whatever they feel doesn’t directly benefit or flatter them. Thanks for sharing your perspective. The author, Greg McKeown, is actually Gen X. He references case studies and examples from people like Bill Gates, Peter Drucker, Jim Collins, Stephen Covey, Peter Thiel, and Gandhi, along with companies like PayPal, Twitter, LinkedIn, and more. Many of his examples are from people who are Gen X and Baby Boomers. I believe the concept of essentialism is one that transcends age/generation. Thanks for this… the book has, or perhaps I should say, IS helping to focus my life and your summary serves as an excellent companion piece. Glad to hear, Stacia. Applying the principles of essentialism is definitely a journey that I’m still working on too. Interesting, this essentialism. I believe I’ve incorporated some of the principles in my life without much thought and now reading about it is exciting. I look forward to the sloww emails. What I’m doing now is working on my house and myself and recently cut ties with a couple of people who added only frustration to my life. I can totally see how it all works together. Thank you. Thanks for stopping by and signing up for email, Jeanie! I agree that essentialism can be applied to all areas of our lives because everything is interconnected and interdependent. It’s not always easy (it’s definitely a “disciplined pursuit” as the author Greg McKeown says), but it’s worth it. Absolutely incredible review! Not to mention the whole blog. I loved how you said your favourite idea was if you don’t know what the most important thing is your most important thing is to figure it out! Such a great principle to eliminate overwhelm! Thanks so much for putting all of these thoughts on minimal slower living together. So many people need to slow down to live meaningful and happy lives! Thanks so much, Roman! I love the illustrations in your summary. Keep up the good work! You are very welcome, Tanya! 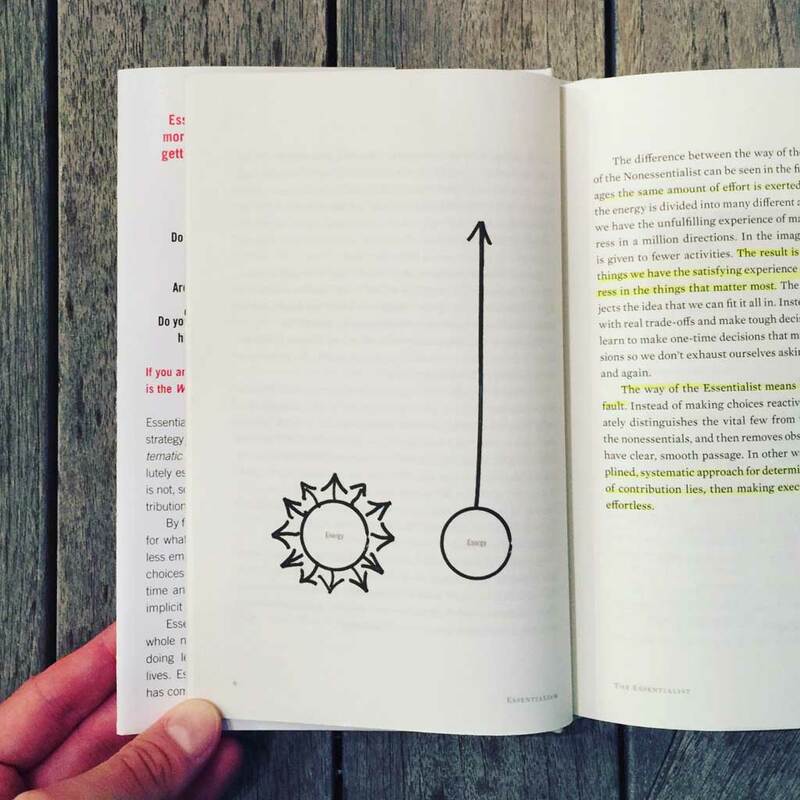 Essentialism is one of those go-to books I revisit at least once a year. Enjoy! Quite interesting! Indeed this book is resourceful. I wish everyone had a copy. 100% agree, Shalom! It should be required reading for work and life. I loved the summary. Great job, Kyle! 🙂 I’m also a fan of Matt D’avella’s videos. Well, at least I was before. Now he’s mainly advertising his paid page 😀 Cheers!